December has already been a super busy month even though barely only 1 week has passed since it began. All last week, Pops and I had fun events to attend every day. Sometimes I wonder how I even find time to fit in going to work! I usually have time at work to get a bit caught up, but even the office was quite busy last week. I’m not complaining mind you, I’m just leading up to the simple and tasty Meatless Monday recipe I’m about to share. I love making this simple dish. There are only a few ingredients I consider staples (noodles or rice, veggies and Soyaki sauce) and the rest are simply what I have available at the time. 2. 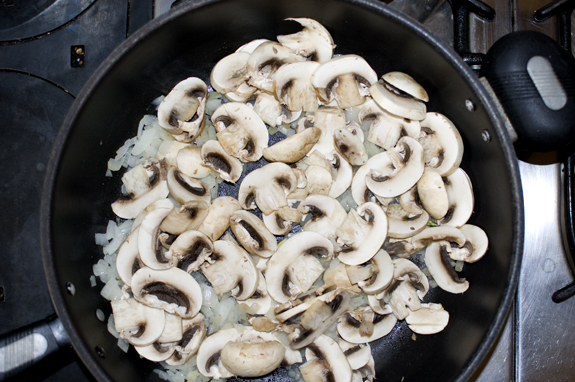 Slice mushrooms and add to pan. 4. 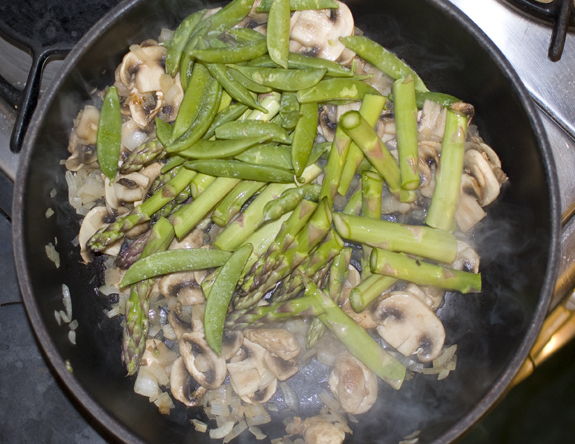 Toss in sugar snap peas and asparagus. Stir. 6. 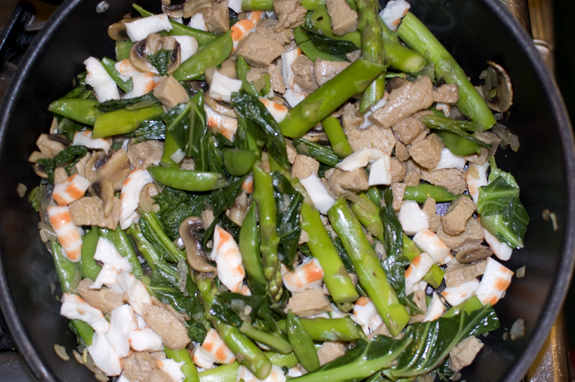 Add “meats” – vegan shrimp, seitan (or tofu). Stir mixture together and continue to cook. Here's what the vegan shrimp looks like out of the package. Looks like shrimp basically but with a nice feature - no shrimp smell! 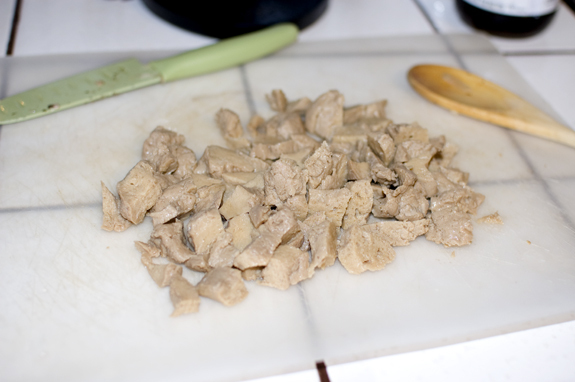 Here's what the Seitan looks like...kinda looks like cooked chicken...kinda tastes like it too. 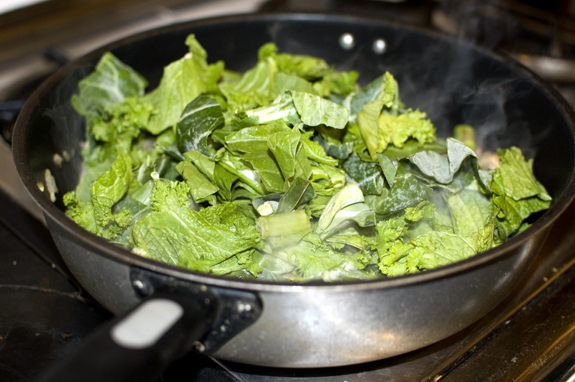 Here's what my pan looks like so far. 7. 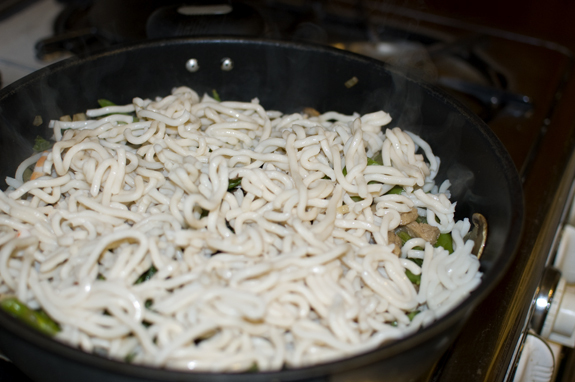 Add Japanese Udon noodles loosely separated into bite size pieces. 8. 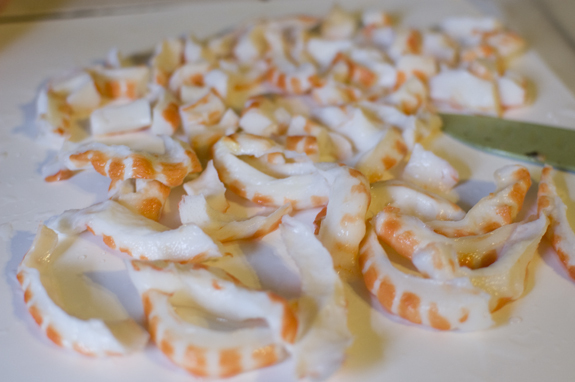 Stir-in Soyaki and cook until noodles are heated through. Thank you…and absolutely I’ll follow heading to your blog now!! 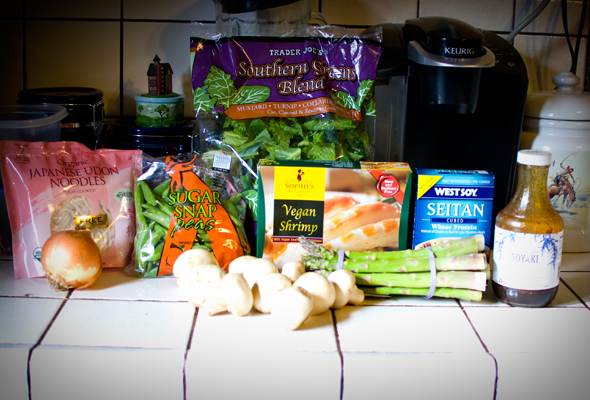 I have to admit that I haven’t tried seitan or tofu yet! I’m scared of tofu for some reason! LOL! I’ll definitely admit, I was too at first…well, to cook it myself actually. I was ok eating out, but it never seemed to come out “tasty” at home until I got squeezing all the water out of it down. 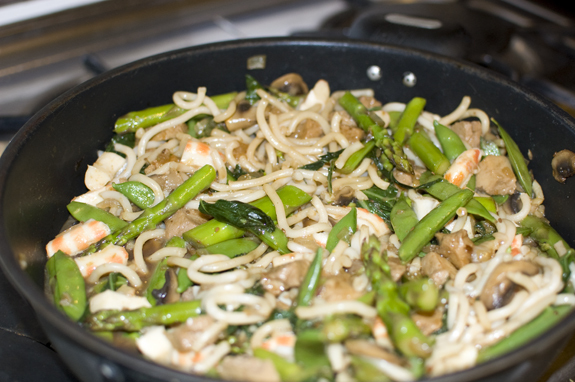 The best thing about this recipe is that you can leave all of that out and just have tasty veggies and noodles – that happens quite often around here!